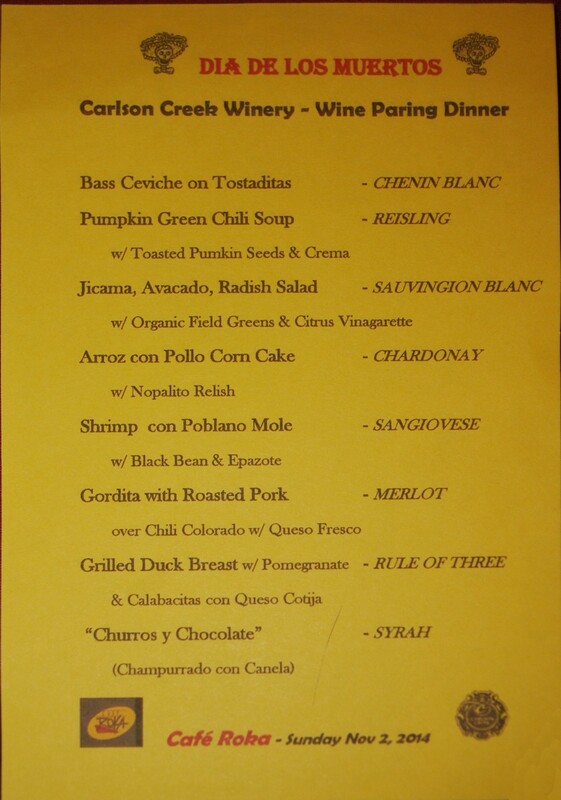 Arizona Winery Events – Sample that perfect wine. Wineries such as Carlson Creek will have venues such as Cafe Roka for dinner and wine pairings. Throughout the year the calendar is filled with Arizona winery events. 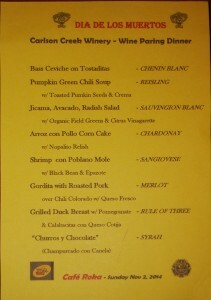 Some of the wineries have special events that are strictly for their club members. One that we have oped to join is Coronado and Zarpara Vineyards. Some wineries such as Carlson Creek or Flying Leap that have events where wines are paired at a dinner and people on their email list are invited. Other wineries have dates where musical entertainment is offered during the wine tasting weekends. Then you may find vineyards that celebrate their new releases with a special event such as Sonoita Vineyards with their Blessing of the Vines. There are regional events that take place with many vintners setting up their booths so that the attendees can sample the wines. These Arizona winery events are held all over the state and one way you can find out about them is to get on a mailing list of the individual wineries or become a club member. You can always go to a winery website and see if they have posted an event that will be coming up in the future. Another source for events is the calendar at AZ Wine Lifestyle Magazine. Anyone can submit an event on this magazine for inclusion. Local chambers of commerce will also let you know about events or their members. The Wine and Music Festival in Sonoita this Spring brought out a lot of people to sample wines from 20 wineries. Although Angie and I have gone to smaller events, we prefer the regional Arizona winery events. These usually allow us to schedule a time when our guests at Down By The River B and B are out for the day. Some of our guests may even be at the event and that makes it a little more fun. 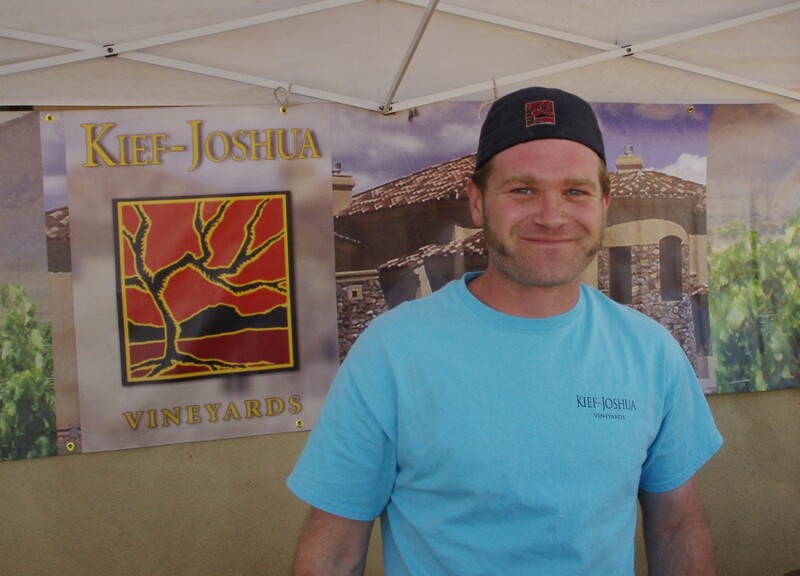 In mid April, The 4 th Annual Southeast Arizona Wine Growers Music Festival was held at Kief – Joshua Vineyards. There were 20 wineries there along with food, music, a chili cook off and other vendor booths. There was a wide range of wines available for tasting. If you couldn’t find one that you liked then it was because you didn’t try hard enough. The owners of the vineyards are usually at these events and you will be able to meet them and talk about their wines. You will find a lot of very knowledgeable enologists at these events and we meet other people that share the same interest in wine as us. It also allows Angie and I to pass out our cards to people we meet and maybe end up with future guests. All the while a good band was playing music for our enjoyment as we sampled wine. What better way to spend an Arizona Spring day. 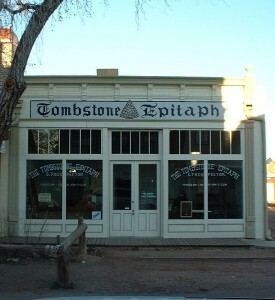 Now you may be saying to yourself, I will have to wait until next year to experience an Arizona wine event. 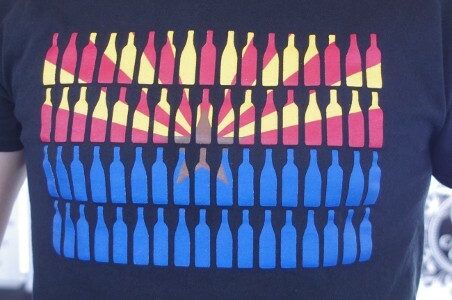 Well no because the next Arizona Winery Event is going to be held on May 16 and 17. 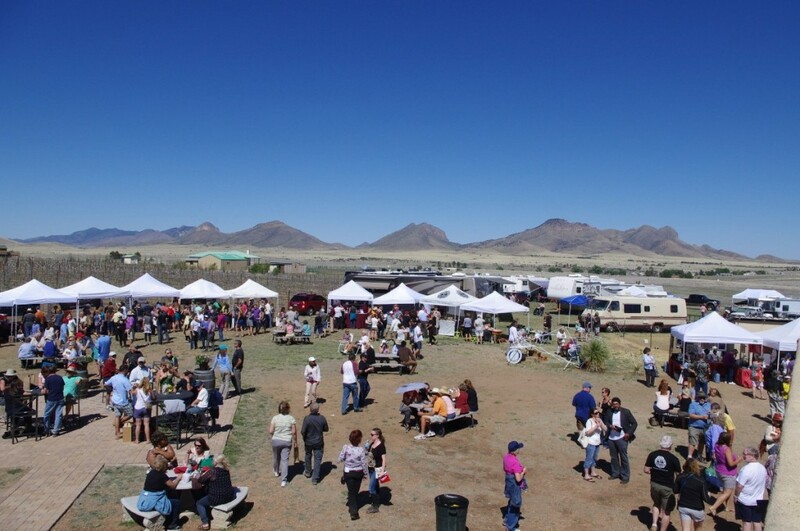 On that date, The Willcox Wine Country Spring Festival will be held in Railroad Park. There should be between 15 and 20 wineries represented there. 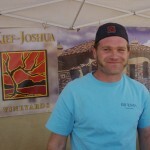 The next on the list of Arizona winery events is the Willcox Wine Festival in May. So think about joining the fun for a day or two and book a room at Down By The River so that you won’t miss out on tasting all that great wine at this Southeastern Arizona winery event. What better thing to do than set back in a secluded quite venue and maybe open one of the wines you purchased to go with your meal. It doesn’t get better than this.